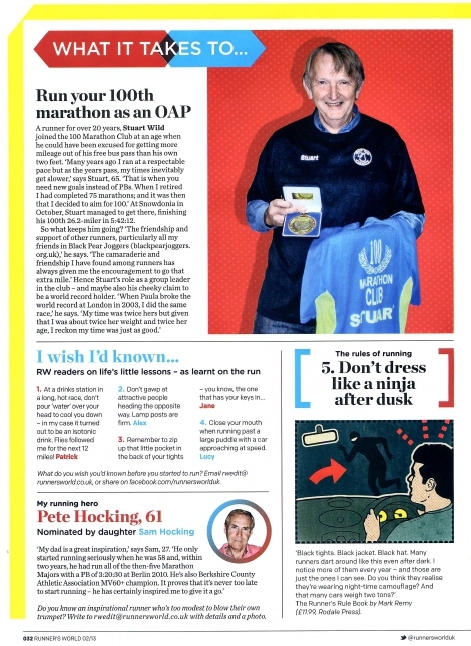 At last, my literary prowess and sporting knowledge has been recognised, and I can proudly tell you I’ve been featured in Runner’s World. Yup – there’s me – in at number 4. 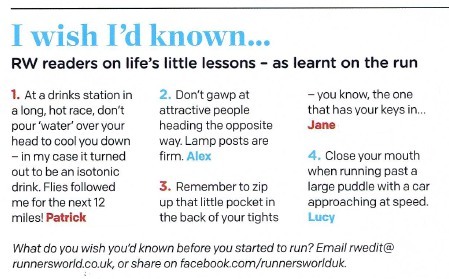 “Close your mouth when running past a large puddle with a car approaching at speed”. Sadly I had to learn this the hard way, but I am passing this on to you all , so that you can be spared the nastiness of spitting gritty water out for the last mile of your run.